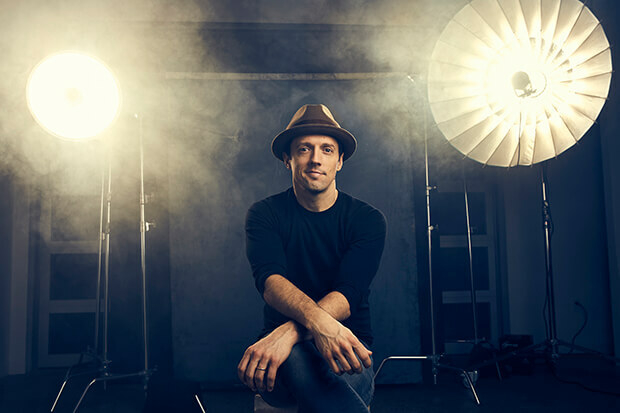 Jason Mraz Returns With The Uplifting & Anthemic "Have It All"
A very dapper Jason Mraz takes a stand for marriage equality in 'Instinct' magazine. Nobody does mood-lifting pop quite like Jason Mraz. The singer/songwriter has been churning out cheerful bops since 2002, but “Have It All” could be his catchiest yet. In any case, the crooner’s holy trinity of smash hits (“The Remedy,” “I’m Yours” and “I Won’t Give Up”) is about to become a quartet. Co-produced by David Hodges, JKash and Andrew Wells, the 40-year-old’s latest was inspired by a blessing he received from a buddhist monk in Myanmar. And the song does feel like a meditation of sorts. “May you have auspiciousness and causes of success, may you have the confidence to always do your best,” Jason begins the song over plucked guitar. “May you take no effort in your being generous, sharing what you can — nothing more nothing less.” From there, the affirmations continue until we reach the sing-along chorus. “Here’s to the hearts that you gonna break, here’s to the lives that you gonna change,” he beams. “Here’s to the infinite, possible ways to love you… I want you to have it all.” Try listening to this without a smile on your face! The video, which dropped tonight, is also destined to lift your spirits. Jason goes back to school and has a good, old-fashioned dance-off with kids from the School of the Performing Arts in the Richmond Community (SPARC) and the Richmond area Turnaround Arts schools. “Have It All” is that rare ray of sunshine in the gloomy hell-scape of 2018. Soak it up below.